Why is the Mobile Learning Lab important? This is the question we asked when setting up our Mobile Learning Lab (MLL) pilot project in northern Sierra Leone’s rural Koinadugu district. We wanted to know if the MLL would increase learning outcomes for reading and mathematics, and if the children enjoyed using it. We also wanted to look at the impact of self-directed learning on non-cognitive skills. In other words, we asked how this delivery method for education would impact motivation and confidence and desire to learn. We believe – and experts concur – that these soft skills not only enhance learning for academic subjects but encourage life-long learning. In our fast-paced world, this is crucial to success. The results of our pilot project are summarized in this Project Evaluation Report that analyzes data on attendance, math, literacy and non-cognitive skills, and qualitative data from numerous surveys and reports from parents, teachers and principals. Attendance was 90% over the 8-month period of access to the MLL. Students would often stand in line when it was not their assigned day in the hope that other students might not show up and they could take their place. Improvement in math and literacy scores was almost twice as high as that of those students in the control group who didn’t have access to the MLL. Students using the MLL were more enthusiastic, participated more in the classroom, and asked more questions. Students worked together and learned from each other. Students appreciated the child-friendly environment of the MLL, where they could learn in a respectful and non-violent space. Students were engaged and motivated. Their self-confidence increased. They developed strong peer learning bonds, and their knowledge and learning extended back to their own families. 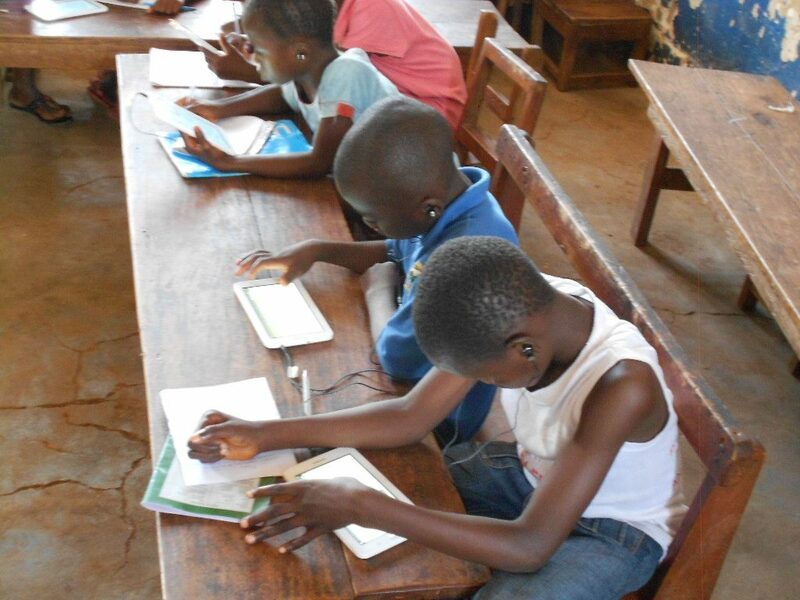 With the evaluation project completed last July, the equipment – tablets, solar charging system and RACHEL– were officially handed over to the five communities where the MLLs were set up. Since then, each community has taken it upon themselves, without funding, to keep the MLLs open for students. Teachers in one community set up their own group to use the MLL for content learning, as well as pedagogical support. We are proud of the impact the MLL has had on these communities. 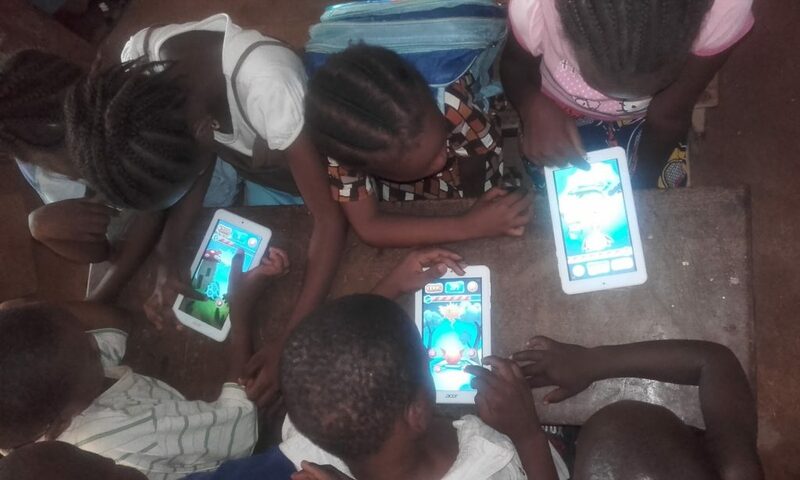 It was our goal to put learning directly into the hands of students in a fun and interactive way to help them overcome the almost insurmountable learning conditions where they live. Project Evaluation Report. The 30-page impact study on the results of the MLL pilot project in Sierra Leone, including tests and surveys administered to students before and after the project implementation, details the results against a control group. Frequently asked questions (FAQ). Any questions you have about buying the RACHEL and solar panels, specifications for the user devices and setting up a Mobile Learning Lab are answered in this document.